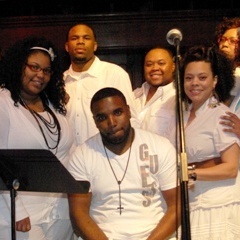 On April 1st, 2011, GOSPELflava.com attended the White Attire Affair Listening Party for the newly released I Am A Worshipper project on the LCP Music Grouprecord label, by Demetrius West and his ensemble of singers, Authority. Authority is comprised of praise and worship leaders from across the Indianapolis area. There was a red carpet entrance available for attendees to take pictures and celebrate the launch of LCP Music Group's first recording release. All attendees were dressed in an array of white and we listened to samples of cuts from of the I Am A Worshipper project. Grab the visuals from the Demetrius West & Authority album release concert by checking out the image gallery. Read Gallery of Concert Images. After listening to some wonderful snippets, and at the request of those in attendance, Demetrius West & Authority gave party attendees a little taste of what to expect at the actual release concert scheduled for the following night. All in attendance were visibly blown away by the robust and crisp sound of Authority as they sang. Praise and worship psalmist for the release concert, Michelle Prather (of the Kurt Carr Singers), also gave us a sneak peek of her amazing gift. Guest psalmist Darryl Harris gave us a taste of his musical abilities as well. Soon after, worship ensued as a result of the ministry of this stellar group of singers and musicians, and their leader Demetrius West. There was great food, hospitality, and the Spirit of God was present. The evening was also hallmarked by a special presentation from the LCP staff to the label owner Ron Robinson and his family, for all of their sacrifice and support of the group's musical journey. Demetrius West also serves as president of the LCP Music Group. This was only the beginning of a wonderful weekend and an introduction to what would be a beautiful display of excellence in music ministry. 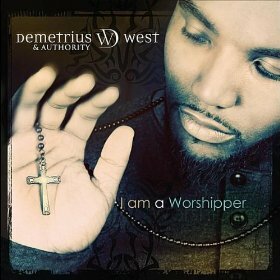 There was much anticipation in the air on April 2nd 2011, as we waited in a separate area and prayed with everyone behind the scenes of the release concert for Demetrius West & Authority's debut project, I Am A Worshipper. The concert began with prayer followed by praise and worship, which was lead by the Michelle Prather. Prather ushered in the spirit of God and had all in attendance on their feet with her captivating voice and visible passion for God. That definitely set the stage for what was about to come. Up next, we were blessed by chart-topping gospel artist Earnest Pugh. He sang a personal favorite, "Great I Am", his hit "Rain On Us", and a magnificent acappella version of "Great Is Thy Faithfulness". Pugh's vocal range is astounding and his rendition of the beloved hymn was refreshing. Read the full Album Review. The moment we were waiting for had now arrived. Demetrius West & Authority took the stage with a nice montage reflecting on the death of our Lord Jesus Christ. It was befittingly followed up with a song off of their project entitled "Calvary". The music, singers, the emotions, and the blend of this group spoke loudly and resonated with those in attendance; their sound was very crisp, clean, and rich. It was hard for many to stay in their seats, no matter what the tempo of the song was throughout the night. The excellence in which this group sang and carried themselves truly impressed me; I was brought to tears by a bonus song the group sang. It was a wonderful release concert that reminded those in attendance of why we all love gospel music. At the core of all of this is our commitment to God and letting people know about Him. In talking with Michelle Prather and Earnest Pugh, they each expressed that they felt inspired by Demetrius West and his passion for God, and felt privileged to be part of the release concert. Prather is a veteran in the gospel community, having sung with Kevin Davidson & The Voices for 23 years, Rizen for some time, and currently with the Kurt Carr singers. Earnest Pugh is a rising star in the gospel world and can attest to the quality of the music and execution of Demetrius West & Authority. It is clear that the vision of this group is to give God glory, and they conveyed this with excellent music ministry. This approach is a true recipe for success.